The Arab higher follow up committee has decided to complain to the UN over the Israeli Prawer Plan that will eventually displace tens of thousands of Arab Bedouins from their ancestral land in the Negev. The committee said in a press release on Sunday that it was planning to send the complaint to UN Secretary General Ban Ki-moon in her capacity as the higher leadership of Palestinians in 1948 occupied Palestine. It said that it is an ethnical minority that has been the subject to apartheid at the hands of the official Israeli circles especially the Knesset that passed in its first reading the Prawer Plan that ran contrary to ethnical minority rights as endorsed by the UN. The committee said that it would pitch a protest tent in front of the Israeli government premises and would work to establish a pressure group within the Knesset against final endorsement of that racist law. The committee announced that it would postpone its scheduled general strike from 8 to 11 July. 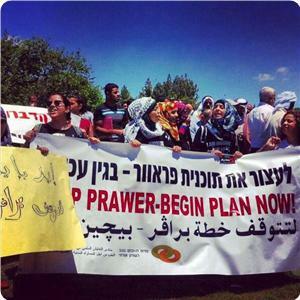 The Prawer Plan stipulates among other articles the confiscation of around 800 thousand dunums of Bedouin land and relocating thousands of them after razing dozens of the so-called “unrecognized (Bedouin) villages”. 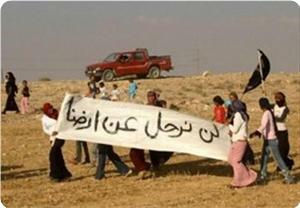 Citizens in the Negev in the 1948-occupied territories announced an open strike in the schools of Wadi Ni'am village in protest at the Israeli authorities’ intention to move the schools to another nearby village. The procedure aims to pressure the village's population (14 thousand people), to leave their lands and move to the village of Shaqib al-Salam (Segev Shalom). Wadi Ni'am's local Committee as well as the committees of the students' parents sent a letter to the Israeli Minister of Education Shai Piron to inform him about their intention to start an open strike in the schools, attended by about 3,000 students from the village. Lubad Abu Afash, the head of the local committee, asserted in a press statement that the Israeli decision to transfer the schools to another village represents part of a plan to displace the villagers. He stressed the students' right to study in their village's schools, and added "we will not hesitate to use all the available legal means for preserving our schools in the village of Wadi Ni'am"
The popular committee for land defense in Umm Al-Fahm city said that the Israeli authority intends to establish a high-pressure power grid in Rouha territory. According to this Israeli plan, the committee stated, hundreds of dunums of Palestinian land will be seized to install this network and thousands of other dunums will be exposed to environmental damage by this project. This project will also prevent the urban development of the nearby Arab towns and their natural territorial expansion into Rouha area. The popular committee for land defense held a meeting at the municipal council of Umm Al-Fahm to discuss the steps to be taken to stop this Israeli plan. The committee believes that this plan is aimed at stealing the land from its Arab owners after a previous attempt in 1998 had failed to turn the land of Rouha into a closed military zone as a result of the Palestinian massive protests that prompted the Israeli government then to backtrack on its annexation decision. Hundreds of Palestinians from the 1948 occupied towns and villages rallied on Friday in protest at the Israeli demolition of a Palestinian home in Wadi Ara at the pretext of unlicensed construction. The Hebrew radio reported that clashes broke out between Palestinian protestors and Israeli soldiers who fired tear gas grenades. Several Palestinians were wounded and arrested during the events. 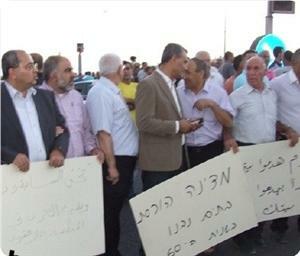 Among the protestors were former and current Arab Knesset members. A general strike was also organized on Thursday in Wadi Ara area to protest the demolition of this house. The popular committee for land defense, which called for this strike, had held one day earlier an urgent meeting in the protest tent near the razed house of Saeed Abu Sharqiya in Wadi Ara. Municipal officials and Arab Knesset members as well as citizens attended this meeting. Israeli military bulldozers had knocked down at dawn Wednesday the house of Saeed Abu Sharqiya in Wadi Ara, north of the 1948 occupied lands. The house was built in 1969. The Israeli occupation authorities on Thursday began demolishing Palestinian installations and agricultural properties in Tubas in the occupied West Bank, under the pretext they were built without license and in a military zone. Atef Bani Odeh, an employee of the municipality of Tammoun, said Israeli occupation soldiers, accompanied by bulldozers and staff from the Israeli Planning and Building Committee, stormed on Thursday afternoon the area of Peki'in and began demolishing six agricultural installations and huts belonging to Palestinian citizens. Deputy Mayor stated that the owners of these properties had received a month ago notifications ordering them to evacuate the area claiming it is a military zone that belongs to the occupation government. However, they obtained a few days ago an Israeli Court injunction ordering the authorities to halt the implementation of the notifications, but the occupation forces paid no notice to the court injunction and went ahead with demolitions. He pointed out that the Israeli soldiers attacked the Palestinians and did not allow them to save their personal belongings and livestock from the demolition. Bani Odeh added that "Before their withdrawal from the region, the occupation forces demolished another Palestinian house in the neighboring area of ​​Hadidiya," pointing out that the occupation seeks to expel Palestinians from the region in order to facilitate the confiscation of lands. 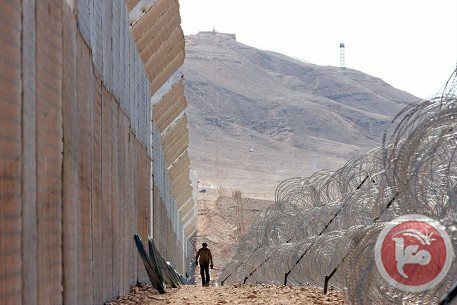 Dozens of Israeli soldiers invaded Thursday [June 27 2013] the Susiya village, near the southern West Bank of Hebron, and handed 39 orders targeting tents, kitchens, structures, solar panels, a clinic, a kindergarten, a cultural center, and milk production facility. The army informed that the residents that they need to demolish the structures, under the pretext of being built without construction permits, otherwise the army would demolish them and bill the villagers. Jihad Nawaj’a, head of the Susiya village council stated that the army is renewing its violations and assaults against the village, in an attempt to force the inhabitants to leave so that Israel can build and expand its illegal Jewish Settlements. He said that the orders target a kitchen, a bathroom and a residency tent that belong to resident Jamal Ismael Nawaj’a, a well and a tent for fodder that belong to Mohammad Jaber Nawaj’a, a chicken coop, a well and a tent that belong to Omran Ismail Nawaj’a, a tent for sheep and a tent for fodder that belong to Ahmad Jaber Nawaj’a, a tent and a kitchen that belong to Mohammad Jaber Nawaj’a, residency tent, kitchen, a well, and a tent for sheep that belong to Azzam Jadee’ Nawaj’a, a residency tent, kitchen and a tent for sheep that belong to Khaled Hammad Nawaj’a, a tent, a kitchen and tent for sheep, a well and a hothouse that beling to Mahmoud Nawaj’a, a residency tent and a well that belong to Nassr Nawaj’a, a tent and a chicken coop that belong to Abdul-Rahman Nawaj’a, a tent that belong to Ahmad Mohammad Nawaj’a, a tent, a kitchen that belong to Jihad Nawaj’a, and a tent that belong to Ihsan Hammad Nawaj’a. He also stated that the army handed the village council an order for the destruction of solar panels, a milk production facility, a kindergarten, a clinic, the Social and Cultural Center, and the Susiya Cooperative Society. Israeli soldiers Thursday assaulted two Palestinians while they were trying to prevent the demolition of their homes in the northern Jordan Valley area, said witnesses. They told WAFA that the soldiers assaulted the two residents of Aras al-Ahmar Locale after attempting to demolish their residences. At least six residences were demolished in an area that has been inhabited by the shepherds of Tamoun for tens of years now. Last year Israeli authorities issued eviction notices to tens of families while demolished a large number of residences in the Pastoral areas along the Jordan Valley. The Israeli military plans to confiscate 379 dunums of Palestinian land near Bracha settlement in the northern West Bank, a Palestinian Authority official said Wednesday. Ghassan Daghlas, who monitors settlement activities, said Israel's military commander in the West Bank Nitsan Alon issued the decision to confiscate the land in Kafr Qalil. The land belongs to Muhammad Abu Zarur, Samih Sadqa, Bassam al-Shaqa, Abdul Fattah Kashkash, Muhammad Qani, Kathem Abdul Ghani and Jamil Khader and his brothers, Daghlas told Ma'an. 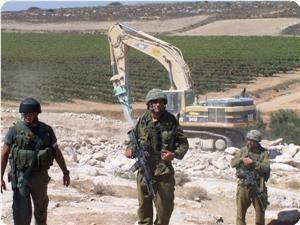 Daghlas said the Israeli military cited security reasons for the confiscation. An Israeli military spokesman did not immediately respond to a request for comment. Nablus Mayor Jibrin al-Bakri said the Israeli government was speeding up land confiscation in the West Bank, particularly in areas near Israeli settlements. Al-Bakri said that in recent weeks, Israel had announced the confiscation of over 950 dunums in Nablus villages including Azmut, Huwwara, Awarta, Rujeib and al-Naqura. He said the issue was an obstacle to peace talks and to US Secretary of State John Kerry's efforts to restart negotiations between Israel and the PLO. The Nablus municipality is exerting efforts to ease residents' suffering, particularly amid constant attacks by Israeli settlers, the mayor added. 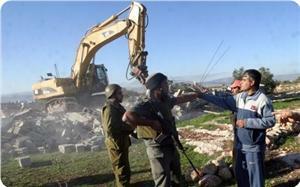 Al-Bakri called on the Israeli government to rein in its settlers and stop their brutality. 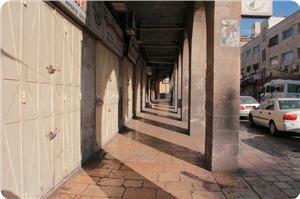 Palestinian sources reported that all public facilities; including schools, banks and health services, are closed. Ahmad Melhem, head of Popular Committee for defense of land and housing in Wadi Ara, said: "The popular Committee, heads of Arab local authorities in the region, a number of Arab MKs and representatives of different political parties and forces held an emergency meeting in the land of the demolished house and decided to set up a protest tent in the place and to perform Friday prayer there." This move comes to express rejection of the policy of repression and the demolition of Palestinian buildings under the pretext of illegal construction, Melhem added. 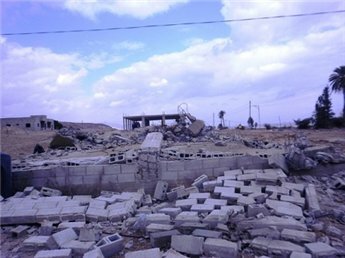 Israeli forces demolished two houses and several agricultural structures north of Jericho Thursday, according to Palestinian officials. 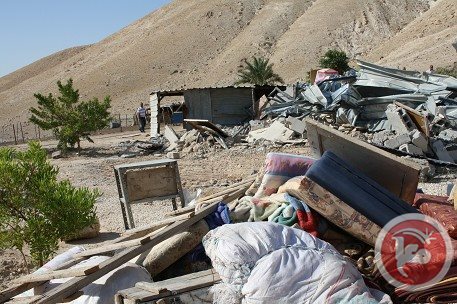 Deputy governor of Jericho Jamal Rajoub said demolitions took place in the Bedouin area inhabited by Kaabna tribe and in al-Nuweima village north of Jericho. The demolished structures, according to Rajoub, belong to Ali Suleiman Imleihat, Muhammad Ali Suleiman Imleihat and Wael Jihad Ali Yousif. 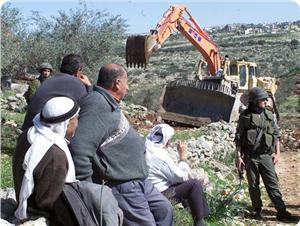 Israeli forces on Thursday began demolishing two agricultural properties in the Tammun village in the northern West Bank district of Tubas, locals said. Israeli military bulldozers entered the al-Bukea area of the village and began the demolition works on the properties belonging to Jamil Odeh and relative Lutfi Odeh, which is on going, locals said. Jamil was injured after trying to remove personal property from one of the structures, locals said, adding that he was transferred to the Rafidiya Hospital in Nablus for treatment of light wounds. Locals said they had not received demolition orders and were concerned that the remaining 30 agricultural structures would be torn down imminently. The village is partly in Area A and Area B, where, under the Oslo Accords, the Palestinian Authority has either exclusive or near-exclusive control over security and civil affairs, including the issuance of building permits. Locals said they were unclear as to why the properties were razed. A spokesman for Israel's Coordinator of Government Activities in the Territories was not immediately aware of the demolitions but that he would look into it. The Israeli occupation authority (IOA) on Wednesday issued demolition orders against Palestinian homes in Silwan district of Jerusalem. The information center of Wadi Hilwa-Silwan stated that Israeli civil servants escorted by policemen stormed the neighborhoods of Bir Ayyub and Ein Loza in Silwan district and stuck demolition orders on the wall of some homes. The center added that the civil servants took photos of the houses and the demolition announcements on the walls, noting that one of the houses received a demolition notice for the second time. The families of Abasi, Awda and Tayeh, and others, who own these houses, would be rendered homeless if the IOA carried out its threat to raze their homes. 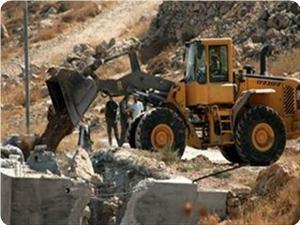 The Israeli occupation authorities (IOA) bulldozed vast tracts of Palestinian land in Wadi Rahal area in Bethlehem on Thursday. 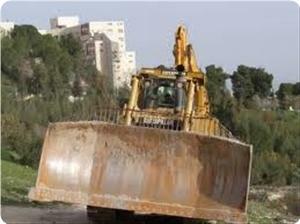 Abdullah Ziyada, the Wadi Rahal municipality council chairman, said that five Israeli bulldozers, escorted by Israeli army troops, launched bulldozing operation in Khilat Al-Nahal land. He said that the destruction did not spare hothouses, fences, and cultivated land lots. The chairman pointed out that IOA served demolition notices to other land owners in the same area about a month ago after claiming that the land was confiscated. Israeli forces Thursday razed Palestinian-owned agricultural land and uprooted more than 200 olive trees in an area in the village of Wadi Rahal, south of Bethlehem, according to the owner. Mohammad Ayish said that Israeli bulldozers protected by a large military force raided the area and razed his land as well as uprooted more than 200 olive trees. Forces also demolished a retaining wall belonging to one of the residents. To be noted, this area has been targeted by Israeli forces through seizing and razing land, digging for ruins, in addition to uprooting trees. Israeli government announced on Wednesday that it confiscated hundreds of dunums of Palestinian lands in the south of the city of Nablus under security allegations. 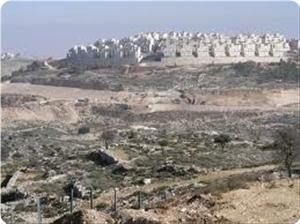 Ghassan Daghlas, a Palestinian official in charge of settlements file in the northern part of the West Bank, stated that the Commander of the Israeli army's Central Command Nitzan Alon issued a decision to confiscate 379 dunums of the lands in Kafr Qalil adjacent to a settlement established on citizens' lands south of Nablus city. The occupation has dramatically and significantly increased the confiscations of lands in Nablus, in recent times, as it seized in the last month more than 950 dunums of Palestinian lands in a number of villages. Saber al-Hariny, member of Tawana village council, told PIC's correspondent that the villagers have been exposed to settlers' daily attempts to confiscate lands adjacent to the settlements that surround the village. Tawana village, east of Yatta town in the southern part of al-Khalil district, which has a population of about 400 people, is surrounded by four Israeli settlements; Fatah Sedro, Ma'on, Karmiel and Umm Arayes. Al-Hariny pointed out that the Zionist establishment has been trying to expel the residents of the village and force them to leave their properties, amid the absence of support from the Palestinian Authority. Tawana village has experienced since 1967 many attempts to Judaize it for its proximity to the Jordanian border. 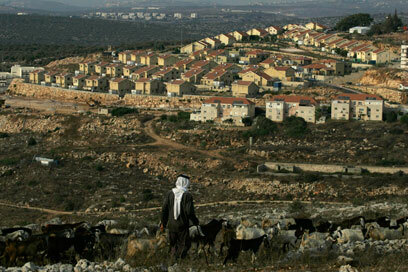 The occupation separated it from the city of Yatta, and surrounded it by settlements. Al-Hariny said that "the occupation has been increasingly intensifying its repressive procedures against the village and its inhabitants over the past decade. 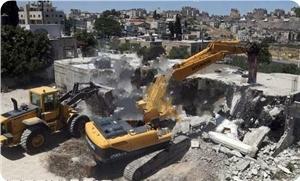 Israeli Building Department implemented dozens of demolition and confiscation resolutions." Suleiman Khader Amour, 29, said the occupation was trying hard to force the villagers to leave their lands, through the settlers' ongoing attacks against the population, the agricultural lands, the farmers, the school students and the mosques. Mahmoud Rab'i, 58, criticized the Palestinian Authority's inaction regarding the issue of the villages east of Yatta and said: "PA is not providing the support and services that will enhance the steadfastness of the villagers against the settlers and the Israeli measures against them." Former Israeli Defense Minister Ehud Barak issued last year a decree to demolish eight Palestinian villages east of Yatta for military purposes. Israeli bulldozers started on Tuesday to bulldoze lands near the fence of Nijhout settlement built on Palestinian lands south of al-Khalil. Eyewitnesses told PIC that Israeli bulldozers began working in areas adjacent to the fence of Nijhout settlement established on the lands belonging to Khirbet Salama residents, south of al-Khalil in the southern West Bank. The bulldozers are working on expanding spaces for creating new settlement units in the western side of the settlement, overlooking the villages of al-Majd and Beit Awwa. The witnesses added that the Israeli occupation forces have prevented in recent months the citizens from approaching their lands adjacent to the settlement as these lands will be used for building tens of settlement units after the Israeli government approved construction of 800 new units in the south of the West Bank. The Israeli Knesset approved on first reading the Prawer-Begin plan to displace the Palestinian Bedouins from their homes and destroy their villages in the Negev region. 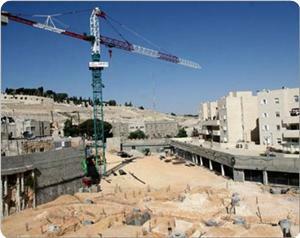 43 Knesset members on Monday voted in favor of the plan, while 40 others including 11 Arab members opposed the verdict. Consequently, the session saw heated arguments between the Arab and Jewish members of the Knesset. Speaker Yuli-Yoel Edelstein also engaged himself in the wrangling and expelled the Arab members after they tore the Prawer-Begin proposal paper. The bill has been referred to the Knesset interior affairs and environment committee to be prepared for the second and third readings, which could take place as early as next month. The Prawer-Begin plan would lead to the destruction of dozens of unrecognized Palestinian villages in the Negev area, south of the 1948 occupied lands, and the displacement of tens of thousands of Palestinian Bedouins from their homes. The Israel Lands Administration (ILA) declared its intention to confiscate 70 dunums of Sur Baher lands in Duhr area in occupied Jerusalem in favor of settlement projects. One of the land owners stated that the Israeli authorities had confiscated in 1971 nearly 2240 dunums in the mentioned area in order to build Armon Hanatziv settlement. 70 dunums have remained from the confiscated lands where construction work has been postponed on it due to the local residents' appeals, he added. The Israeli authorities declared its intention to construct a new settlement neighborhood on the remaining 70 dunums including the establishment of a Jewish synagogue and public facilities. Local sources stated that the ILA has issued confiscation orders for the mentioned lands five days ago, calling on the lands' owners to submit their appeals against the confiscation decision before July 13. 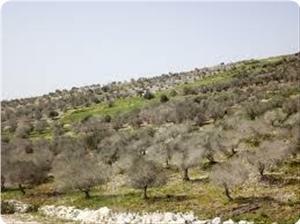 The ILA confiscation orders also called on the land owners to remove the olive trees. The lands threatened with confiscation are owned by 20 Palestinian families, where they decided to perform the next Friday prayers on their lands. 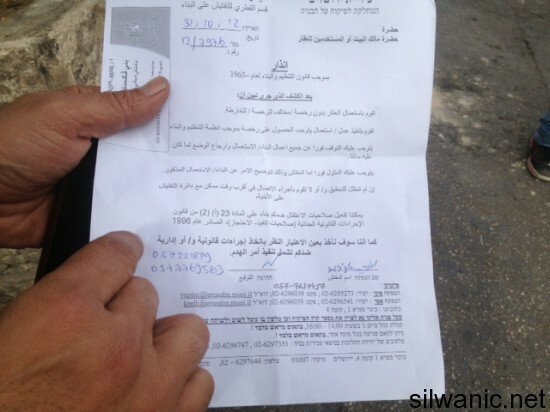 The Israeli occupation authority (IOA) delivered a demolition notice to a citizen in Al-Khader village near Bethlehem. Ahmed Salah, the coordinator of the popular committee against the wall and settlement in the village, said in a press release on Sunday that the IOA ordered the demolition of water well and fence owned by Mohammed Zawahra. He said that the notice was delivered by an Israeli army force, adding that the wall is 140 meters long. 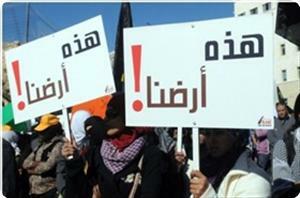 Salah said that the notice granted Zawahra one month to protest at an Israeli court in Beit El near Ramallah. Salah expected the court to turn down the protest and support the IOA decision, describing such procedures as “summary trials”. Israel's Civil Administration has sent letters to a number of Nablus residents informing them of decisions to confiscate their land for military use, said Ghassan Daghlas, who monitors settlement activity. Landowners in the Awarta and Rujeib villages received the letters, which notified them of the confiscation of 80 dunums of land. Both villages are near the illegal Israeli settlement of Itamar. On Wednesday, Daghlas revealed that several such notifications by mail were being sent out to Palestinian residents in Nablus. Israeli authorities Sunday notified Palestinians in an area east of Nablus of their intentions to take over their 80-dunums of private-owned land, according to a local source. 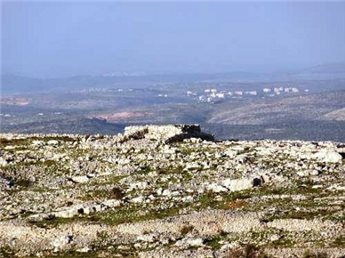 Ghassan Daghlas, who monitors settlement activities in the north of the West Bank, said that Israeli authorities notified the residents, via the registered mail, of their decision to take over their 80-dunums of land located between the villages of Rojeeb and Awartaa, east of Nablus.